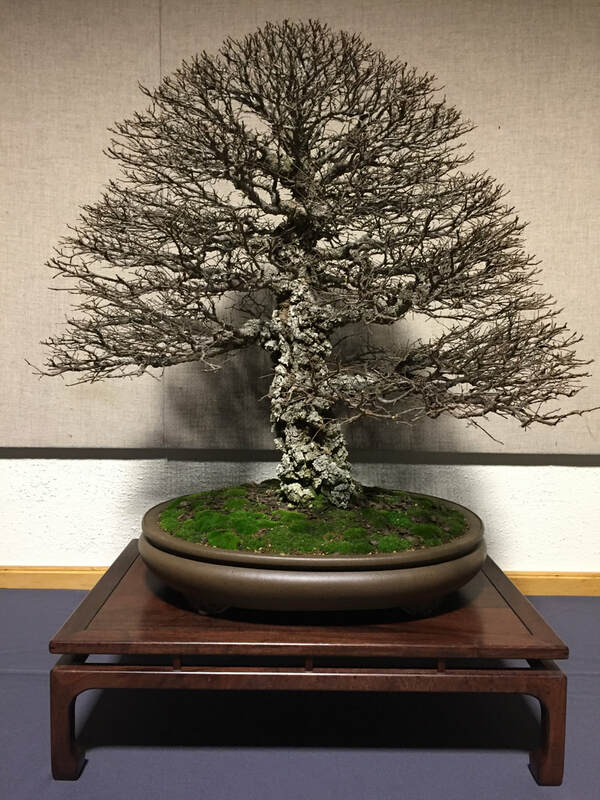 It is once again time for us to visit our friends, Baikoen Bonsai Kenkyukai, and enjoy their annual Winter Silhouettes show, potluck dinner, sale, raffle, and live auction at the Los Angeles Arboretum. Each of the bonsai on exhibit are deciduous and as you may assume from the title, in their leafless winter glory. Some may still have their fall fruit, others may have new spring blossoms. The members of Baikoen are very talented and put on a spectacular show. On the way up, we will visit David Nguy's Bonsai Jidai in Chino. The cost for the trip is $40 for the bus and a dessert to share at the potluck meeting that evening. We will depart from the Balboa Park bus staging area at 11:00AM and the Carlsbad staging area at 11:30AM. We will return to Carlsbad by 10:30PM and Balboa Park by 11:00PM. A sign-up sheet will be available at the next club meeting or you can sign up below.